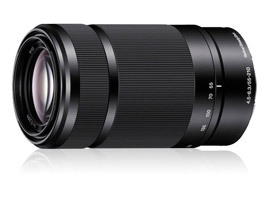 Introduced in 2011, Sony’s E 55-210mm f4.5-6.3 OSS falls into the firm’s entry-level line-up, and was the first telephoto zoom launched for the NEX, now Alpha, APS-C mirrorless models. As the equivalent to an 85-320mm, this sensitively priced model is an obvious counterpart to the firm’s 18-55mm starter lens. Despite being aimed at beginners, it features two extra low dispersion glass elements and one aspherical lens in its construction. 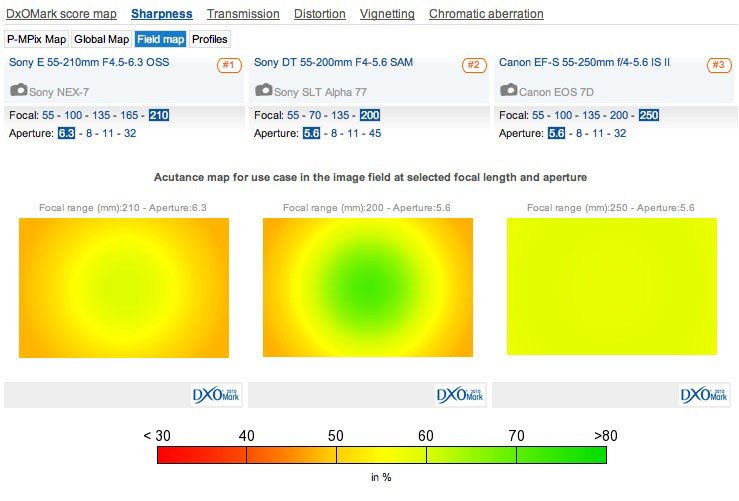 The latter is used in the focusing group to improve AF accuracy from the camera’s contrast detection AF system. Sony’s OSS four-stop stabilization system is included to reduce camera shake – a useful addition in a long lens with only a moderate maximum aperture. This model can also boast internal focusing and a linear driven ‘stepper’ type AF motor for smooth, near silent focus operation. With a 49mm filter thread, the lens measures 2.51 x 4.25″ (63.8 x 108 mm) and weighs in at 12.17 oz (345 g). It’s available for around $350. 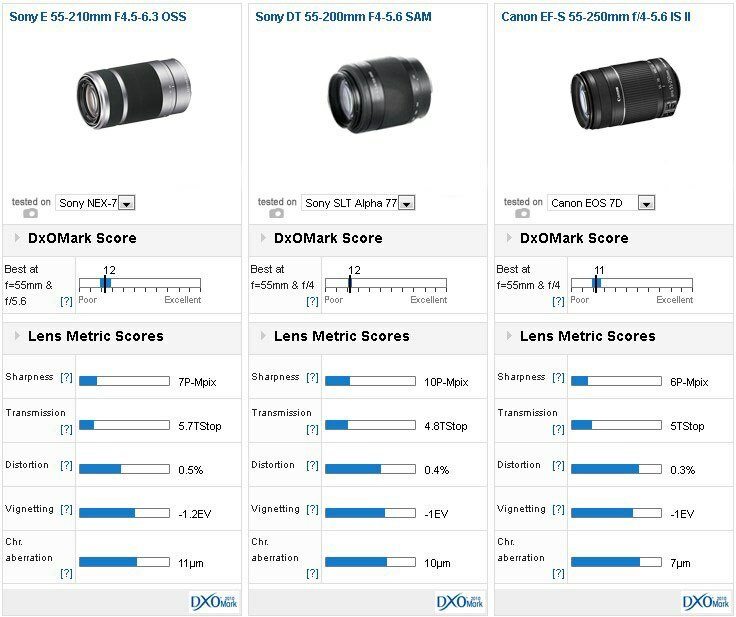 The Sony E 55-210mm f4.5-6.3 OSS achieved a DxOMark score of 12 points overall and is about average for a lens with this range of focal lengths. 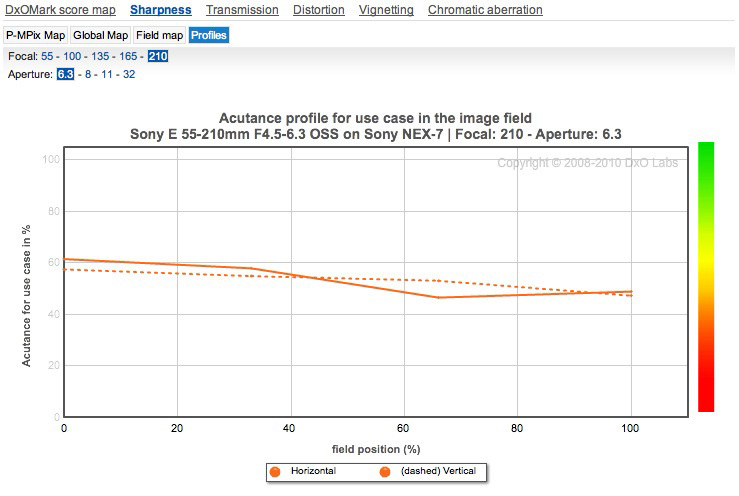 Peak sharpness of 7-Mpix, however, is on the low side given the resolving power of the 24-Mpix sensor of the Sony NEX-7. Like many affordable zooms, this one performs better at the shorter-end of the zoom range and like most lenses, it requires stopping down at least a stop to improve sharpness in the outer field. At 210mm, it’s soft wide open where it counts and although sharpness improves a little at f/8, it’s still only moderately sharp in the center. Some mild pincushion distortion can be seen throughout the zoom range, and despite the modest aperture there’s quite noticeable vignetting, peaking at 1.5Ev wide open at 55mm, though it pretty much disappears by f/8. Lateral chromatic aberration is well controlled, though some may be noticeable in the corners at 55mm. 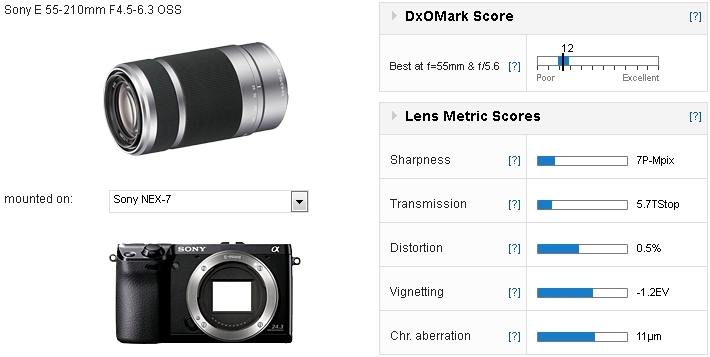 When matched to similar offerings the Sony achieves a comparable ranking for overall image quality. Against the longer-range Canon EF-S 55-250mm f4-5.6 IS II on the 18-Mpix Canon EOS 7D it may have only slightly higher peak sharpness, but it’s sharper at every setting (though keep in mind the difference in sensor has a bearing here). However, the Canon has lower levels of chromatic aberration, particularly at 55mm and slightly better control of vignetting. Distortion varies between barrel and pincushion but as the DxOMark scores reveal, the two are closely matched. Compared against the firm’s slightly faster DT 55-200mm f4-5.6 SAM zoom from 2009, the newer E-mount model compares favorably overall but lacks its sibling’s sharpness wide-open. That makes the DT model much more practical even though it has rather lower uniformity. Both vignetting and distortion are well controlled but the DT has very noticeable chromatic aberration at 200mm. This is heavy enough to degrade image quality, although fortunately it’s more noticeable when stopped down. Wide-open performance is disappointing at 210mm, and while the DT sibling has better center sharpness, it has rather high levels of lateral chromatic aberration. Lenses are a mix of compromises and nowhere is that more obvious than with accessibly priced zooms. The Sony E 55-210mm f4.5-6.3 OSS is somewhat disappointing at the longer end of the zoom range, in terms of sharpness, but in every other respect the performance is well balanced. It may not satisfy demanding enthusiasts but, given the price, the lens is not an unattractive option for Sony Alpha users looking for a change in perspective from the kit lens.